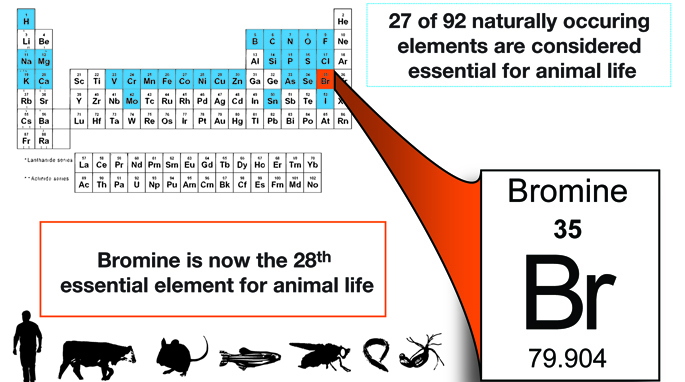 A new research from Vanderbilt University published in the journal Cell has found that, out of the 92 naturally occurring elements, bromine is part of the 28 elements that are essential to human life. It enables tissue development in all animals including humans. “Without bromine, there are no animals.” said Billy Hudson, Ph.D., the paper’s senior author.